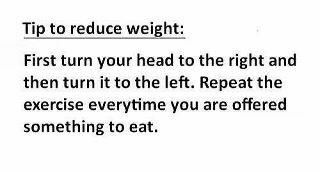 Home Humor Tip to reduce weight !!!! Previous articleTHOUGHT FOR THE DAY !!! Next articleFor MBA studying friends – Marketing Lessons ….